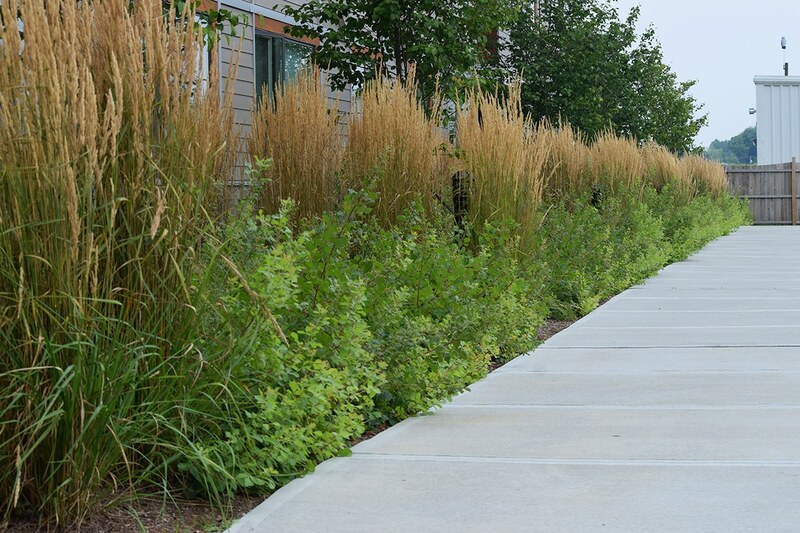 Last season we partnered with S E Group, a landscape architecture firm, to create a stunning landscape at the newly-built Bartlett Brook Apartments in South Burlington. 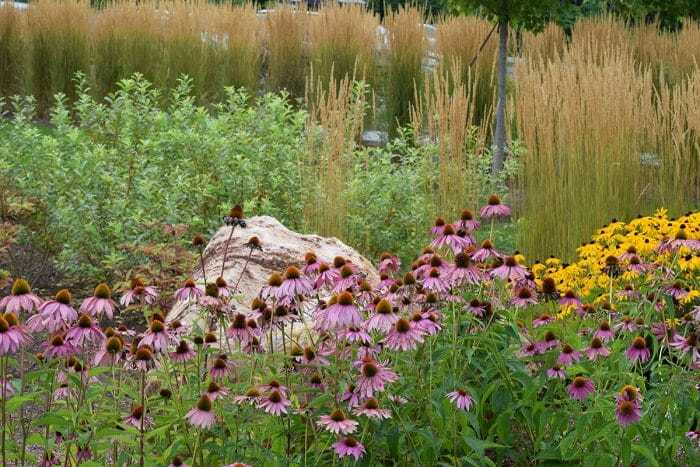 A combination of retaining walls and thousands of perennials, shrubs, and trees all came together to help reduce stormwater runoff into the nearby Bartlett Brook (that feeds into Lake Champlain). 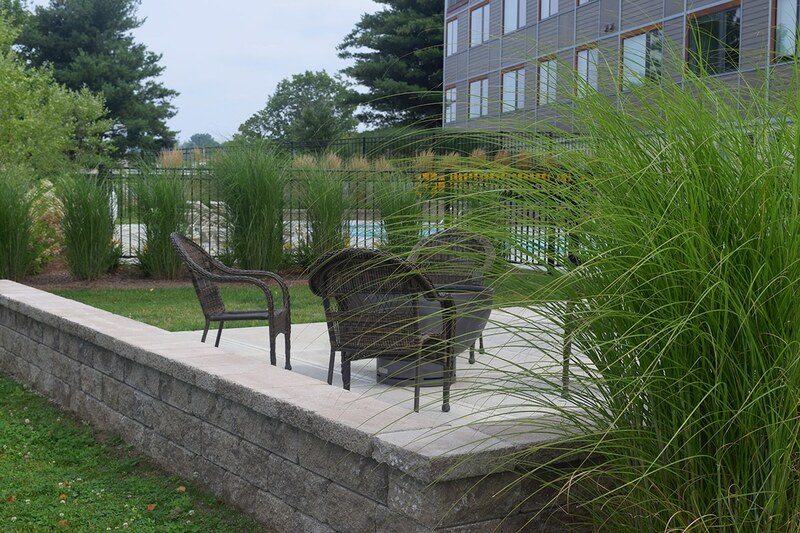 The landscaping also softens the new construction and makes it feel like a private oasis for residents, even though it’s right off of Shelburne Road. 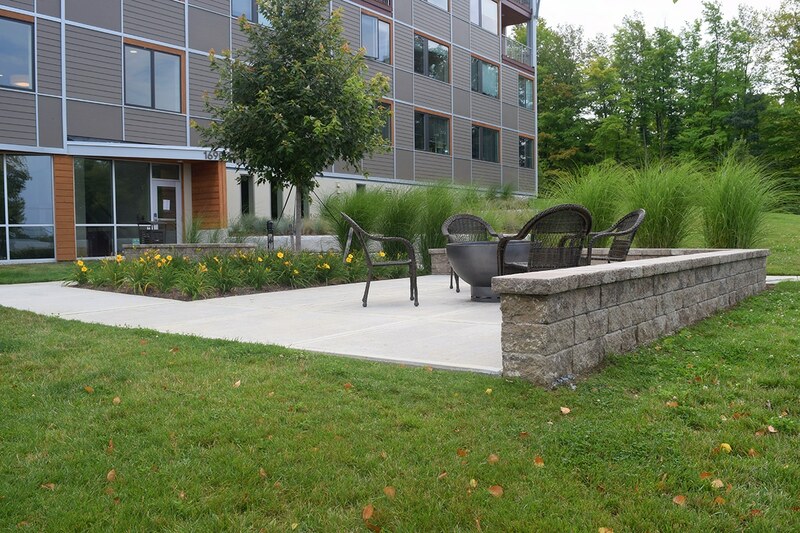 We installed two large rain gardens in the back of the property by the parking lot to help retain stormwater and reduce runoff into the Bartlett Brook, which feeds directly into Lake Champlain. 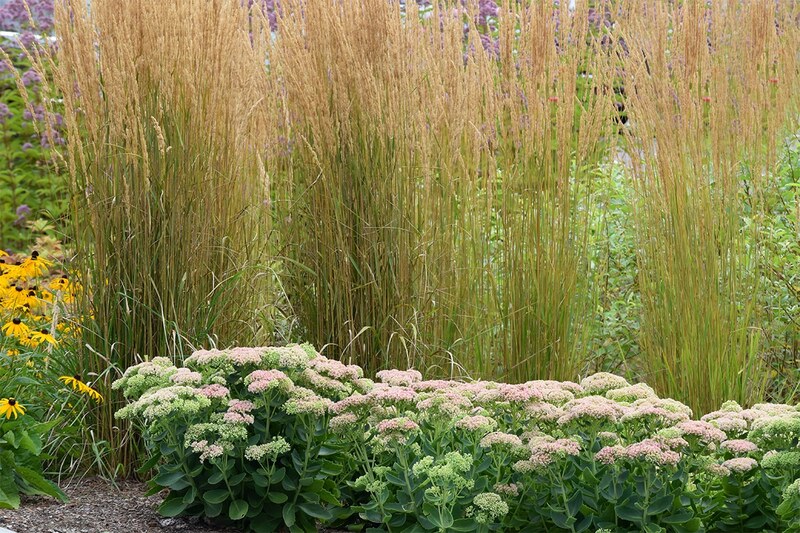 In just their second season the gardens are fantastically full and make a big impact as soon as you drive up. 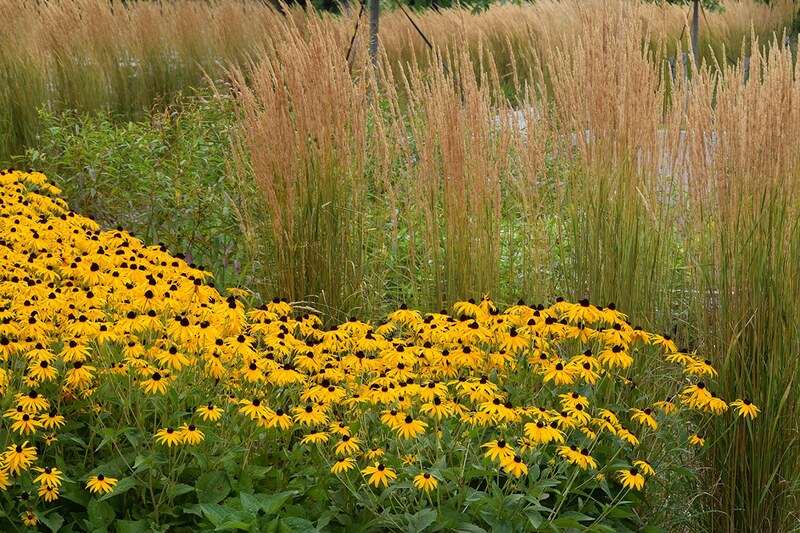 A variety of native grasses and perennials, including Black Eyed Susan, Joe Pye Weed, Daisies, are paired with pollinator-friendly Sedum and low maintenance Daylilies to create a season-long display of color. 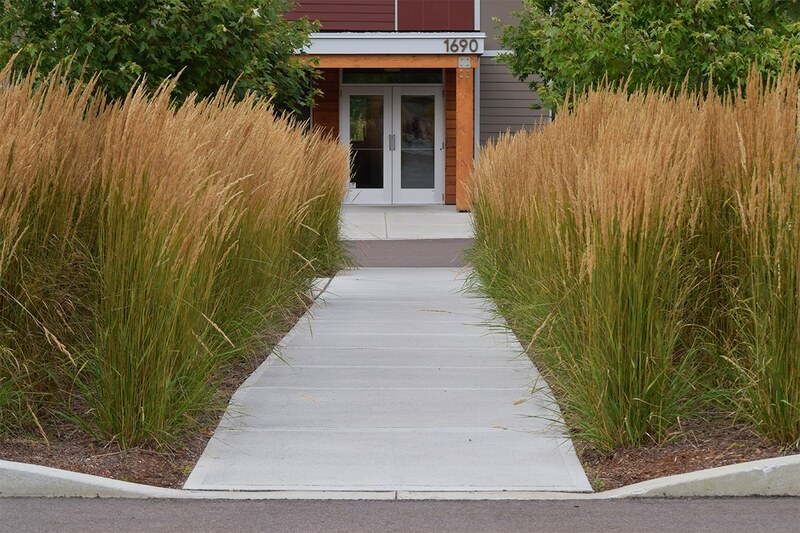 Tall Pampas Grass lines the walkways to the building, creating year-long interest and whimsy. Shrubs and trees bring the height of the gardens up and create privacy for residents. A pristine pool and outdoor sitting area frame the front of the property, lined with texture-rich grasses and low maintenance perennials to soften the new construction. 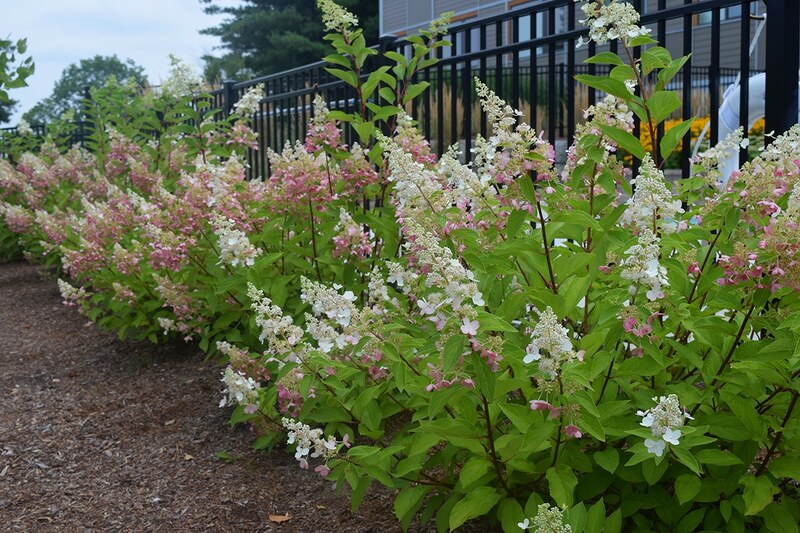 A mass planting of Pinky Winky Hydrangea edges the front fence to the pool, offering up sweet color and plenty of food for local pollinators. 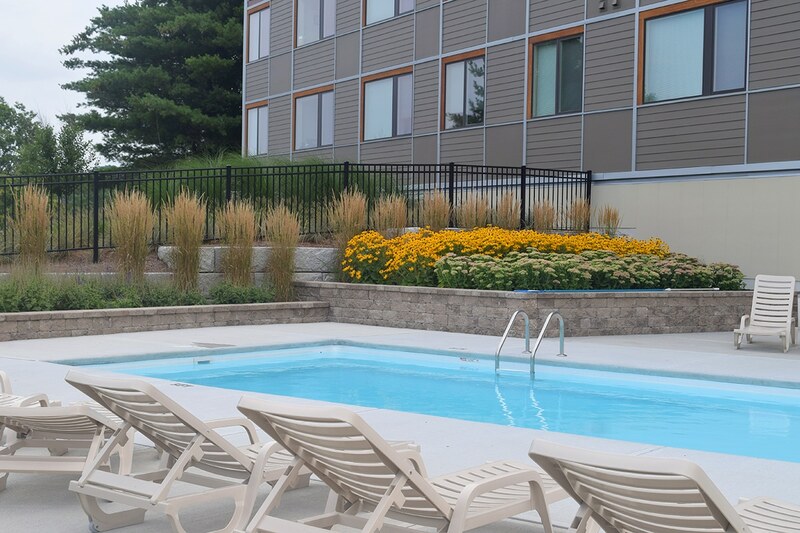 Pool-goers feel like they are in a private oasis surrounded by flowering perennials and grasses inside the pool fence. 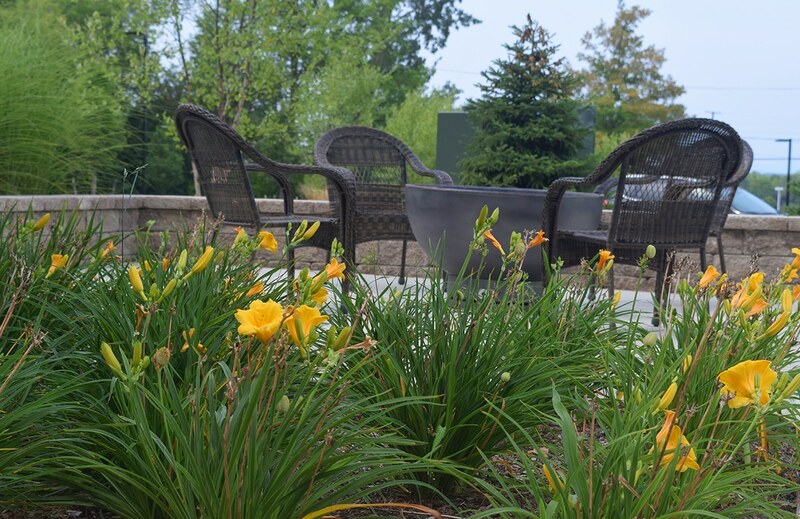 A large stone patio hosts a fire pit and chairs for residents to enjoy a summer fire and this area is framed by tall grasses and low maintenance daylilies. Dozens of trees add privacy to this area of the property and again make it feel like a private oasis, even though the main road is just hundreds of feet away. This project was done in the early summer last season, right at the peak of the dry, hot weather everyone in Vermont experienced. 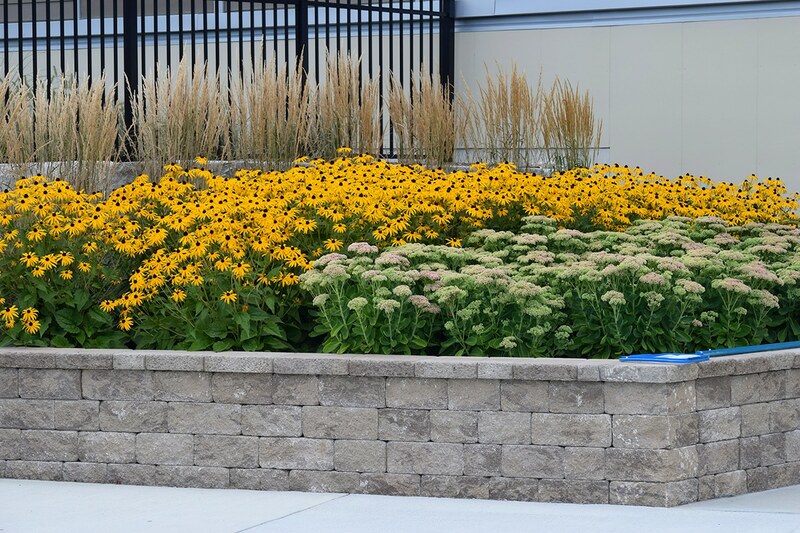 The biggest challenge for us on this job was to keep the thousands of plants and newly-seeded grass areas healthy and vibrant. As this was a new construction, there was no water on-site for us to use so we had to haul in our own water on a daily basis to keep everything looking good. Putting in as much time watering as constructing the walls and other parts of the project paid off; even with the extreme heat, almost everything we planted last year made it through the season and came back strong this year. Another challenge — as is typical with commercial jobs — is that the landscaping is usually the last thing to come together at the end of a new build. Even though we started later than expected and had a tight deadline, we were still able to bring the project in on time by having the ability to ramp up our production with several crews and equipment. 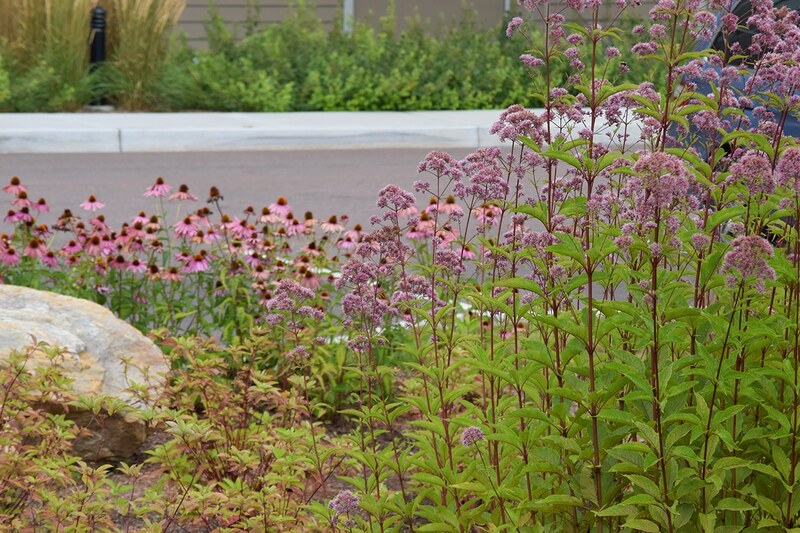 As you can see by the photos taken in August this year, the project is looking colorful and most importantly doing its job by reducing stormwater runoff and providing a comfortable, private space for residents to enjoy time outdoors.